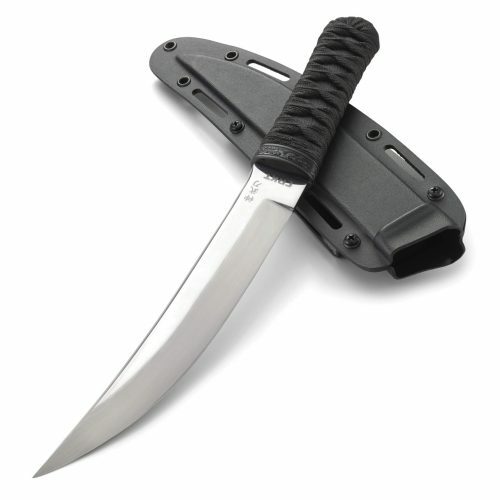 Citadel’s swords and knives are completely hand-made one off customs made entirely in their small shop in Phnom Penh, Cambodia. Citadel’s swords and knives are completely hand-made one off customs made entirely in their small shop in Phnom Penh, Cambodia. We’ve asked them to make for us a few swords in the same style, but made in the same way as their custom swords. Crafted individually from start to finish, each one is of course a bit unique in it’s own way. 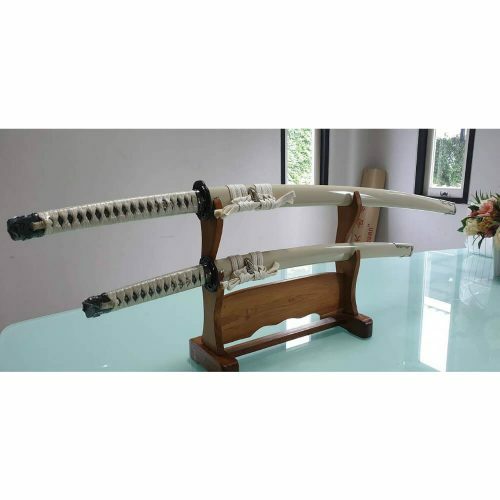 Limited to 30 tanto, each is signed by the smith on the nakago with the sword number and comes with a matching certificate. 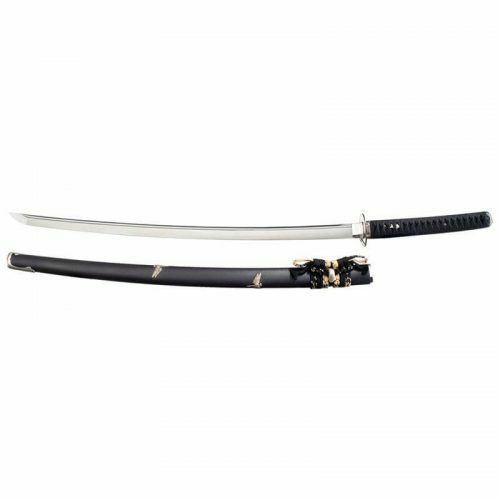 The matching Tanto for the Citadel Imperial Katana is themed in the symbolic flower of the royal family of Japan, the Chrysanthemum. 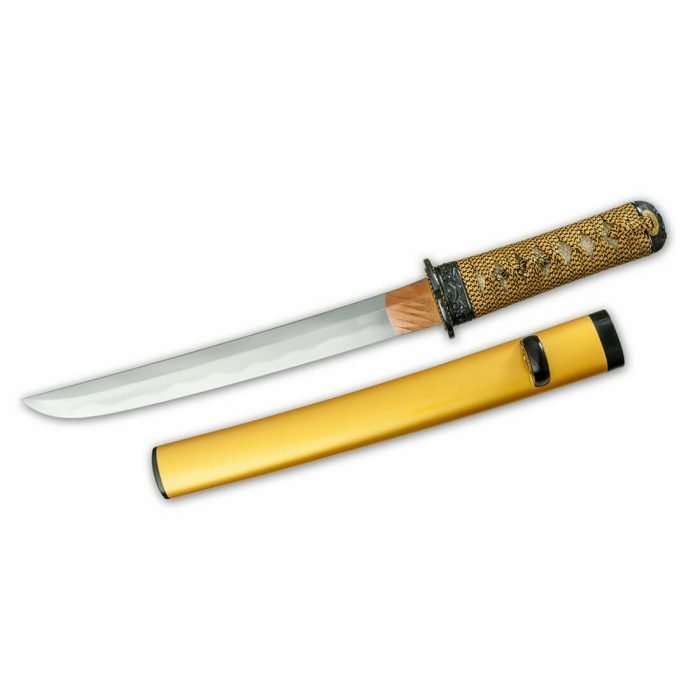 In addition the golden color of the handle and saya represent the warrior’s courage. 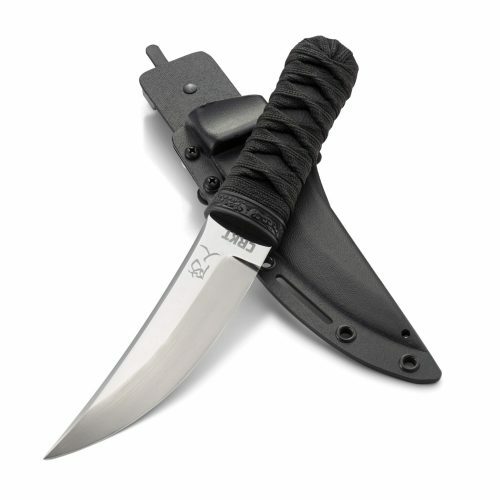 The blade features a hand forged and differentially hardened DNH7 high-carbon steel blade. Each blade is hand polished using traditional stones and powders to produce an authentic look. Each fitting (tsuba, fuchi, kashira) is meticulously hand crafted in pure iron. Each piece is therefore slightly unique and held to a high standard of excellence. Citadel is one of only a handful of sword makers worldwide that still produces fittings in this manner. 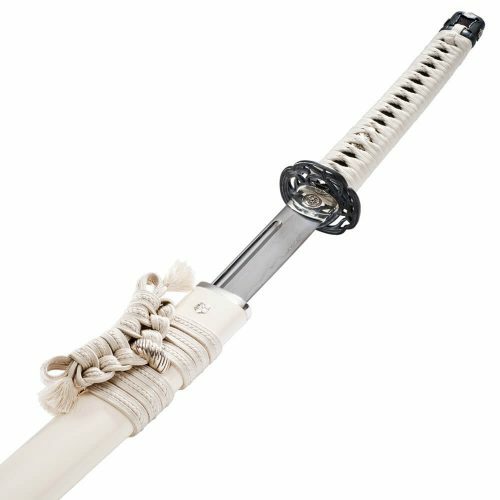 The tsuka is carved to each individual blade ensuring a tight friction fit with a full same-gawa wrap. 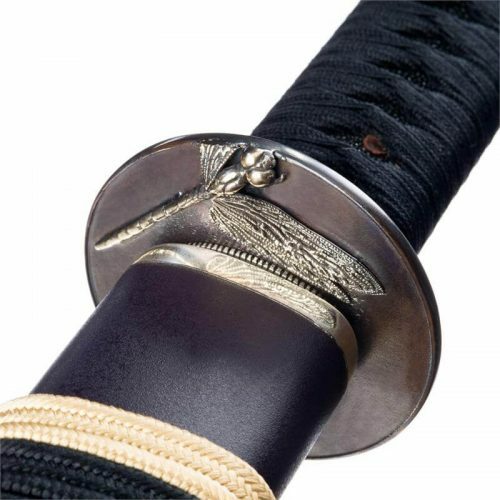 The ito or handle wrapping is two-tone hand wrapped silk imported from Japan wrapped in a Katate-Maki or battle-wrap style. The saya is a work of art in its own right, showing off the masterful lacquerwork that Citadel is capable of achieving in the excepational golden metal-fleck style. Each saya is painstakingly hand carved for the individual piece ensuring a proper snug fit.